Don’t sweat it. 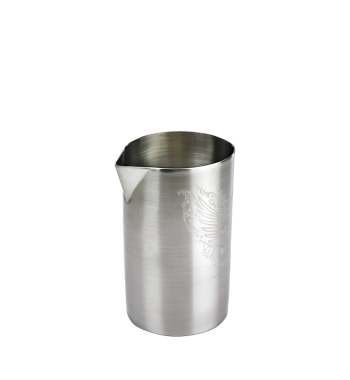 As you prepare cocktails in this unique tin, the double wall construction keeps the cold inside, while the exterior stays at ambient temperature and does not sweat. An ideal mixing vessel with straight, tall sides, precision pour spout, and reasonable size.